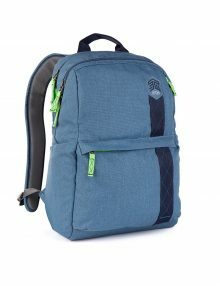 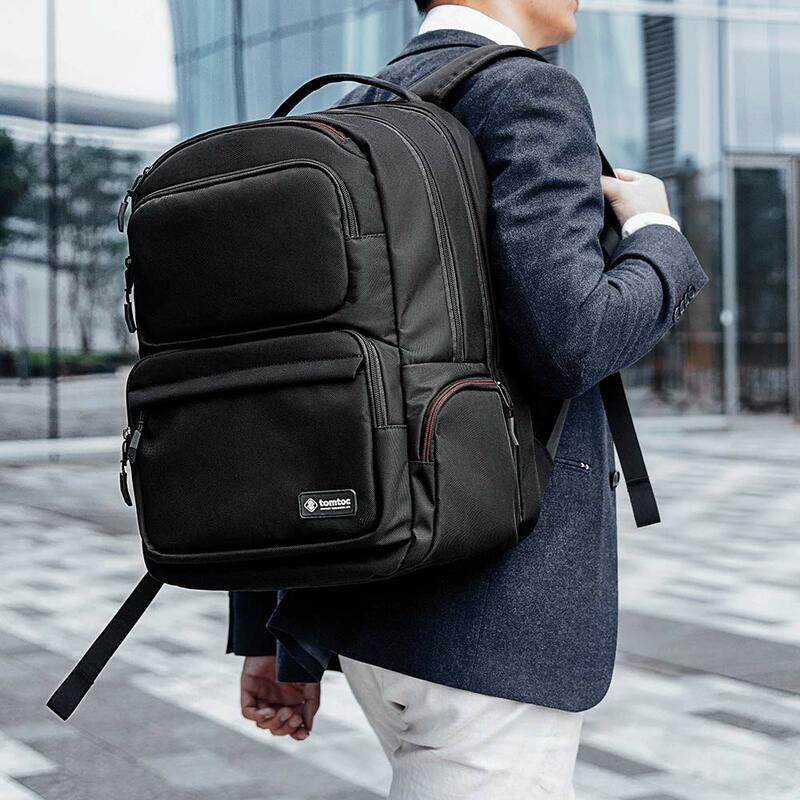 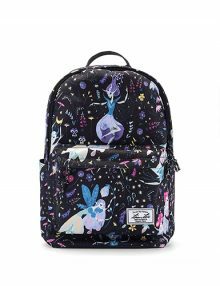 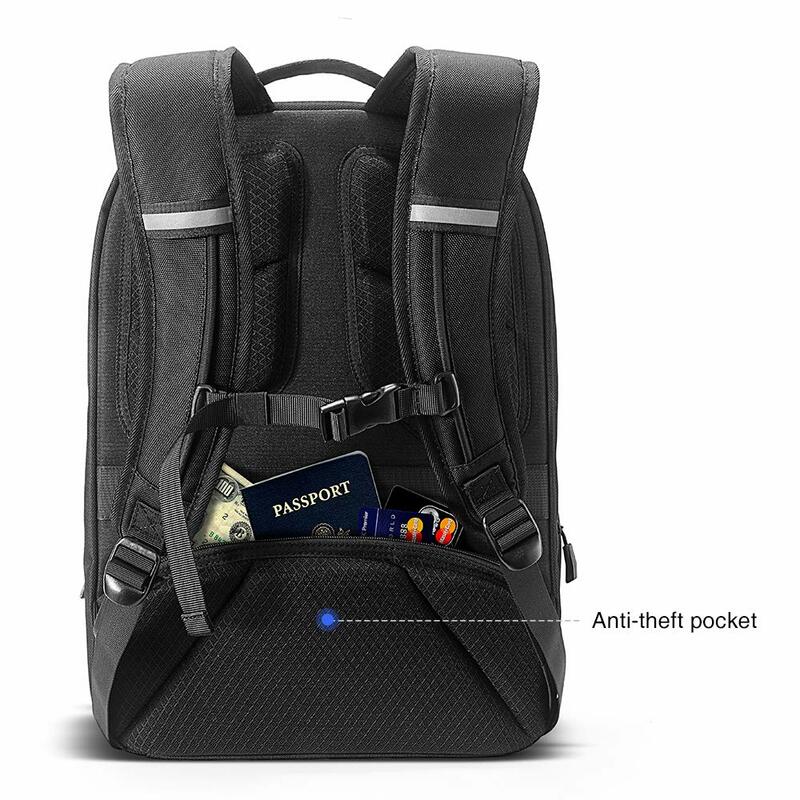 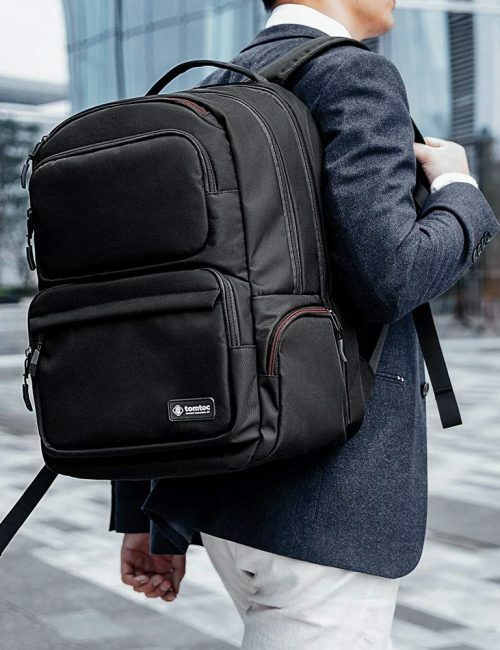 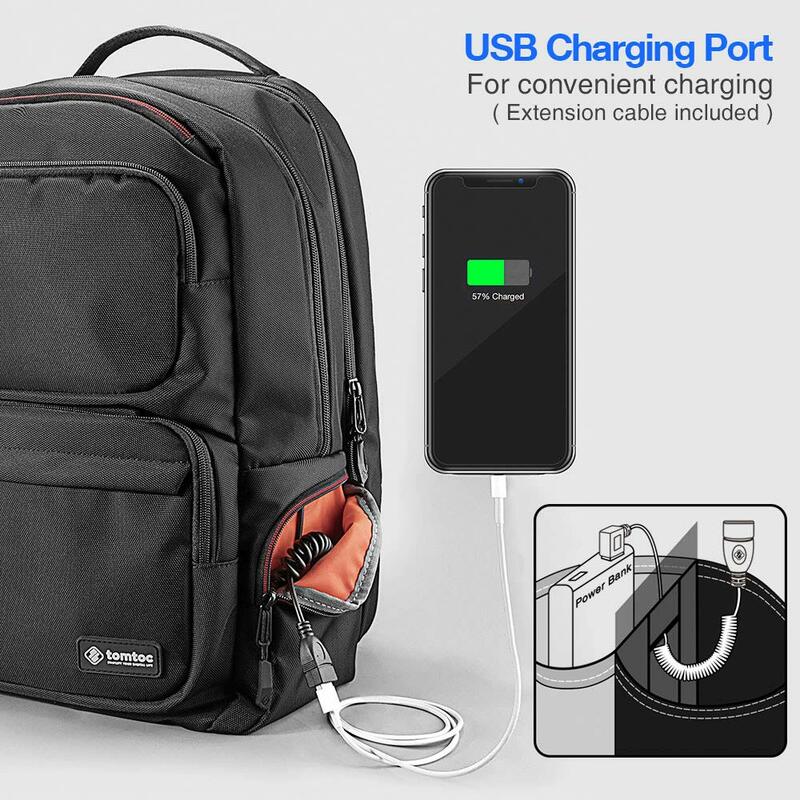 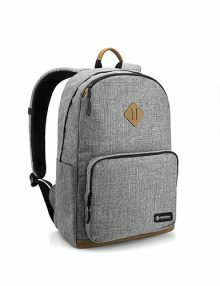 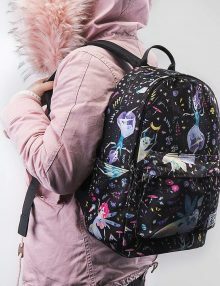 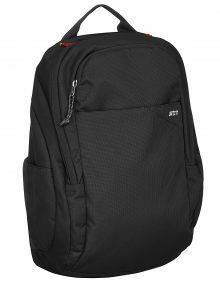 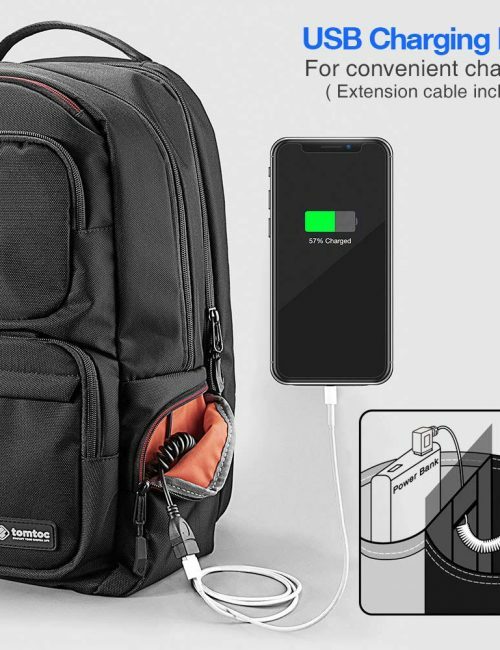 tomtoc City Series large backpack – A77This versatile backpack with large capacity and well-organized compartment is perfect for school, office and travel. 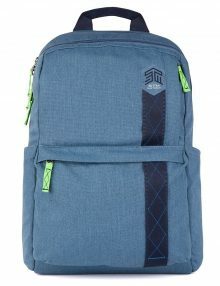 Top accessories and workmanship make this bag more durable and practical. 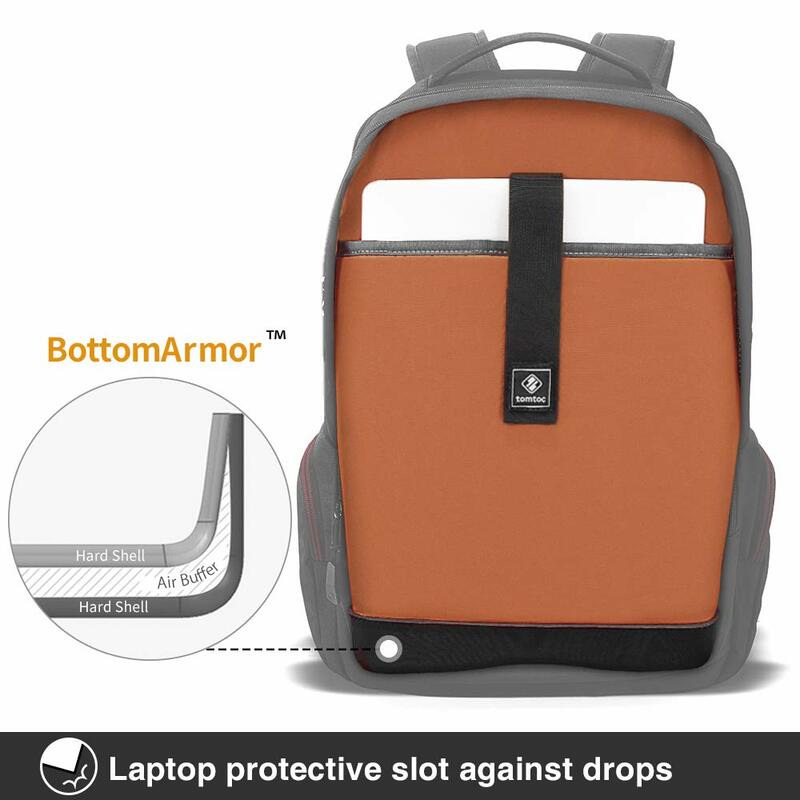 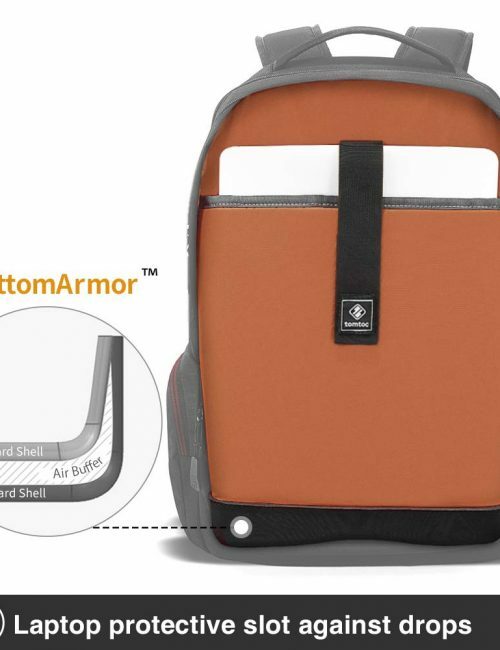 Original Patent ProtectionBottomArmor patent in the individual laptop compartment protects your laptop from dropping, scratching and colliding. 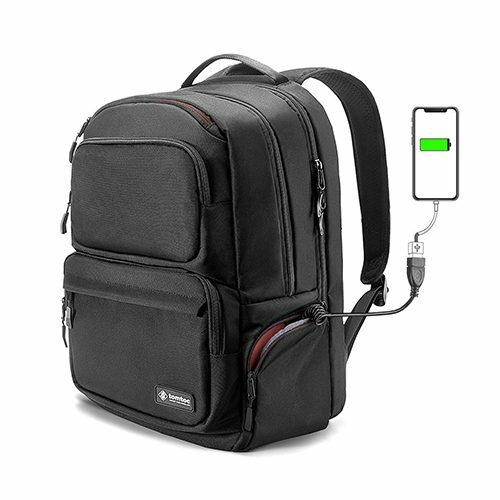 PowerPortal patent with a USB charging extension cable helps charging more conveniently on the way. 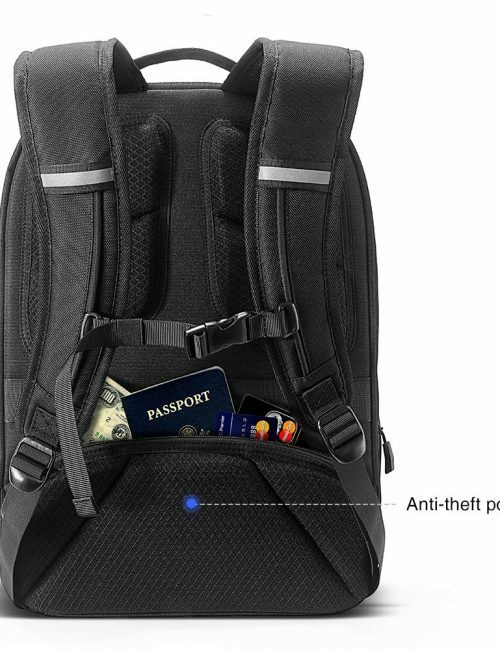 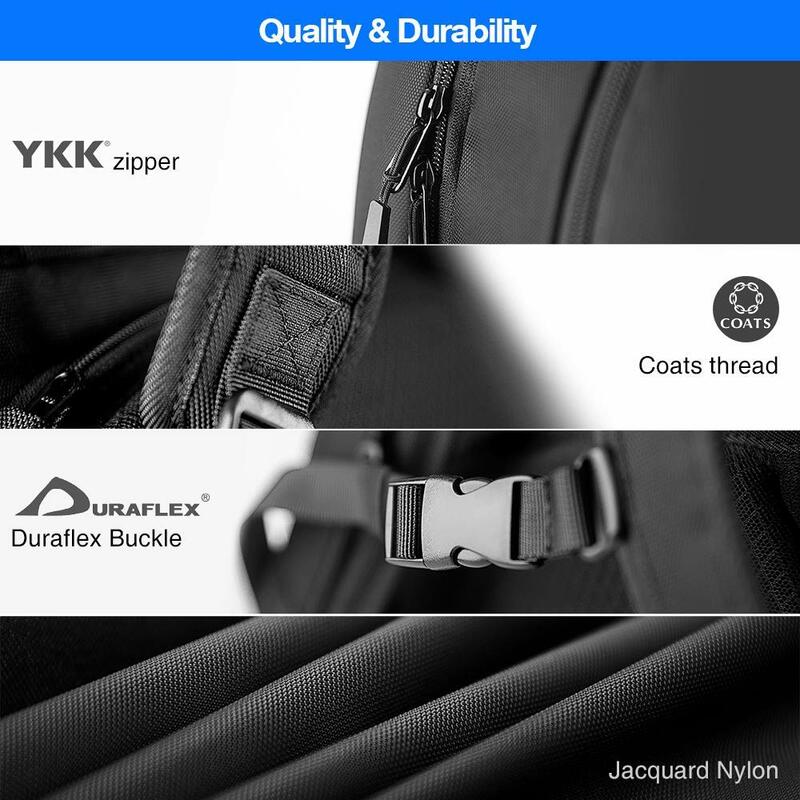 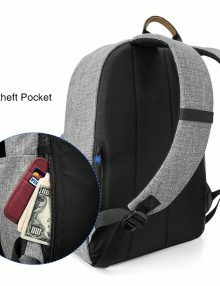 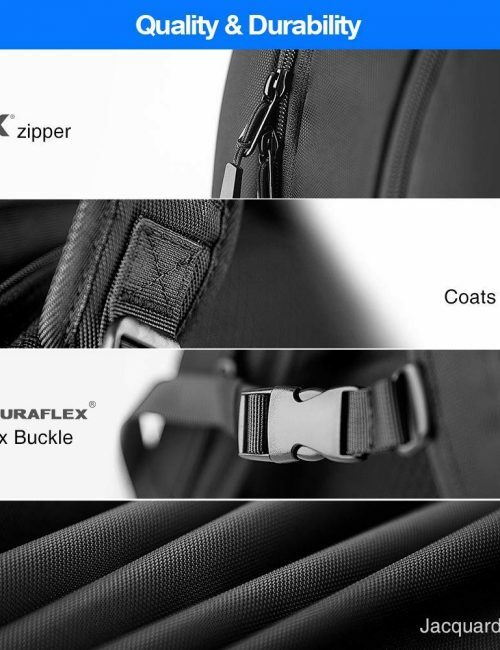 Top Accessory and Workmanshiptomtoc backpack adapts world top brands accessories such as YKK Japanese zipper and DuraFlex hardware. 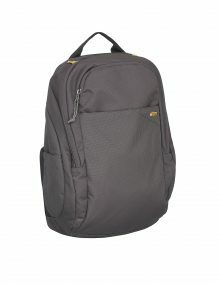 High-density foam and mesh covering on the back and shoulder straps ensure comfortable wearing. 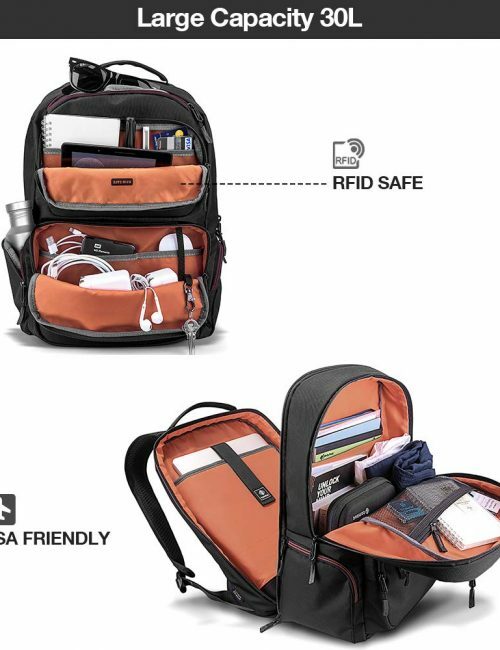 You need a place to pack and carry all your daily essentials—work stuff (papers and files), life stuff (jacket and lunch), plus stuff that straddles both (laptop, tablet, phone). 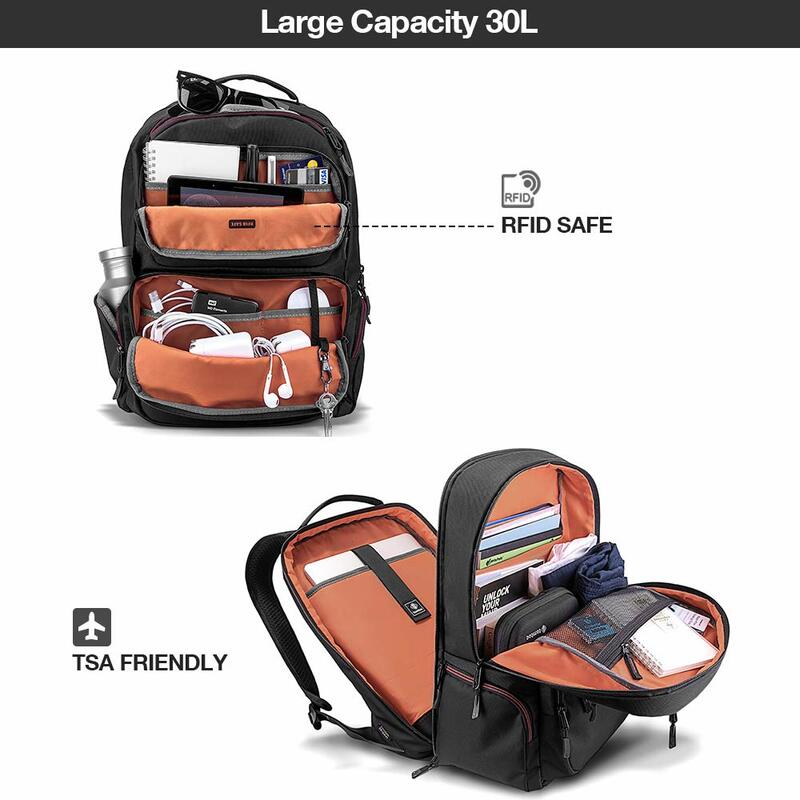 Only Banks has the “capacity” to fit storage and style needs with equal measure.